Halloween Spooktacular will be happening this Halloween! Join local area merchants, organizations and service clubs for Halloween treats and game booths. 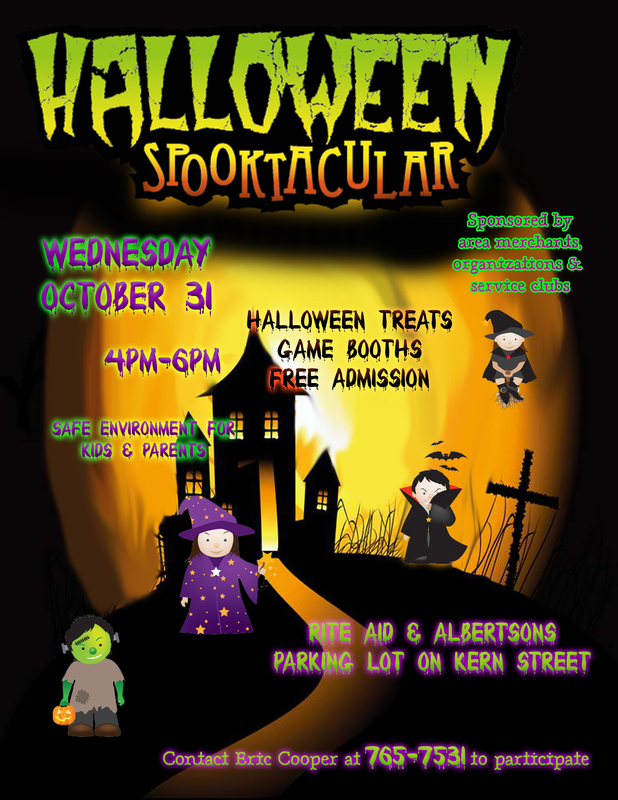 Halloween Spooktacular will be held in the Rite Aid/Albertsons parking lot on Kern Street from 4pm-6pm. This will be a safe environment for kids and parents. Free admission! Contact Eric Cooper at 765-7531 to participate.